BETTY E. “MIMI” LUSARDO (nee Woodrow), Age 93. 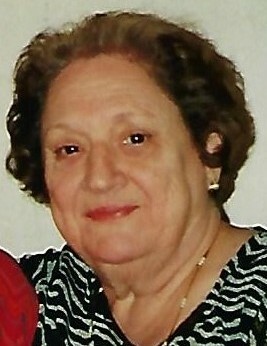 Beloved wife of 54 years to the late Bernard “Bernie”; loving mother of Maria Antonio (John, deceased), John (deceased) (Karen) and infant Joseph (deceased); dear grandmother of Lisa Ludwick (John, deceased), Tulio S. Garonzi, Jason (deceased), Dana and Kara Lusardo; great grandmother of Nicholas, Alex, Julia, Brooke, Raya and Olivia; sister of the late Al, Richard and Robert; aunt and great aunt of many. Passed away Wednesday, September 5, 2018. Funeral Mass St. Albert the Great Church, 6667 W. Wallings Rd., Monday, September 10 at 10:00 a.m. Entombment Holy Cross Cemetery. The family will receive friends SUNDAY 5 - 7 PM at the A. RIPEPI & SONS FUNERAL HOME, 18149 BAGLEY ROAD, MIDDLEBURG HEIGHTS (WEST OF I-71).